Shri Satchidanand Sadguru Sainath Maharaj is worshipped all over the world as a divine personality - by devotees belonging to different religions, castes and nationalities, speaking varied languages. This great eminent personage and angelic incarnation had amazing Godly powers and His life’s accomplishments are vast. It is not possible for us mere mortals to take a review of the same. Studies about Sai Baba point out that He was possibly born in Shake (Hindu year) 1760 (1838 English year). From time to time, attempts have been made to find out the roots and past history of this divine personality. A few attempts yielded some information, while in majority of cases, people had to remain satisfied with mere guess-work. Several things had to be left unknown. Even today, the persons conducting research are still attempting to unearth the facts about the past life of Sai Baba. It is felt, that one should respect the wishes of Sai Baba and let His past remain shrouded in mystery. Instead, an attempt could be made to find out how He was perceived by the men and women living in His time and around Him. In this series of articles, an effort is made to trace information about these people who were fortunate enough to see Sai Baba, experience the shower of His blessings and teachings through miracles, love and affection. 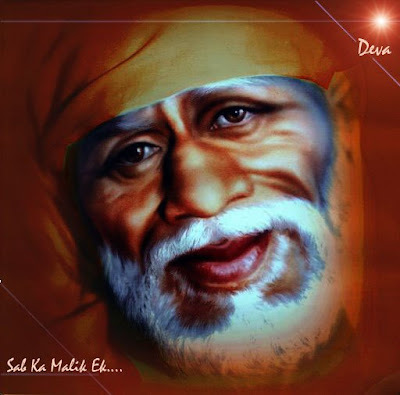 Sai Baba was first sited under a Neem tree in Shirdi around the year 1854. At that time, He had just entered His youth. At the outset, His fair complexion, sharp features, tall body attracted many of the villagers to Him. In the whole of Shirdi, it was mother of Nana and Bala Chopdar who first spotted Sai Baba sitting beneath the Neem tree. Like other villagers, this elderly woman was also curious about this young Boy. “In the initial period, every one was amazed by the magnetic personality of Baba. Let it be day or night, harsh sunlight or heavy rains, Baba was always alone sitting in the open under the Neem tree. He rarely talked to anyone. Because of this, hardly any information was known about Him – Who was He ? Who were His parents ? Where from He came ? All these and similar other questions remained unanswered. And this deepened the mystery surrounding the Baba. Villagers belived that sometimes the Spirit of God Khandoba possessed the bodies of a few devotees. Villagers, who were curious to know more about this Boy (Baba), asked questions to few such ‘spirited’ devotees. The God responded by saying ‘Bring pick-axes and dig at such and such place. You will know the origins of this Boy’. As instructed by the God, the ground below the Neem tree was dug open. A layer of bricks was revealed. Underneath was a grinding stone. When it was moved away, below it was found to be a wooden seat in the shape of mouth of a cow. It was surrounded by prayer beads with light from oil lamp in each four corners shining brightly. It was under this Neem tree that Baba performed tapascharya for 12 years. Due to this sadhana performed at such a young age, there was uniqueness in His behaviour. The villagers were now getting convinced that this was no ordinary human being. Slowly the word about Baba’s fame started spreading in and around Shirdi. People started forming ques to get the darshan of Baba. Prior to this, Baba’s devotees were mainly the ordinary villagers from Shirdi – farmers, ladies, children, goldsmiths, tailors, carpenters and the like. Several residents of Shirdi were getting convinced about the extra-ordinary personality of Baba. Chief amongst them were – Shreemant Ganpat Kote Patil, his wife Bayajabai, his son Tatya Kote Patil, Mhalsapati Sonar (goldsmith), Kashiram Shimpi (tailor), Appa Jagale, Appa Bhilla, Kashinath, Daji Kote Patil, Ganpatrao Patil Gayke, Waman Mankojirao Gondkar, Vitthal Gondkar, Dagdubhau Kalu Gayke, Bhagchand Marwadi, Nandram Shivram Marwadi, Kondajibhai Musalman, Balaji Bapuji Jagtap, Appaji Kote Patil (father of Bayaji Kote Patil), Santaji Bhivsan Shelke Patil, Gabaji Sutar (carpenter), Bappaji Kulkarni, Salubai Shelke and others. However, the several people were still opposed to Baba particularly belong to Teli, Wani, Bhat-Bhikshuk communities and having orthodox set of mind. Outwardly, Baba’s behaviour was eccentric and due to this those opposed to Him called Him a ‘Mad Fakir.’ Over the passage of time, as they experienced the truth themselves, they also realized the greatness of Baba. The first person to comprehend the divine nature of Baba’s personality were Ganpatrao Kote Patil and his wife Bayajabai Kote Patil from Shirdi. By nature, this couple was extremely pious, helping and religious. They always accorded due respect to any virtuous persons visiting Shirdi – touched their feet and looked after their needs. This Boy, Who had renounced the worldly pleasures and had a radiating personality, was the subject of curiosity of the entire Shirdi village. It was but natural that the eyes of the Patil couple fell on the Boy and they were overcome with paternal feelings of love and affection for Him. Bayajabai felt that her fondness for the Boy was pulling her towards Him. Those were the days when a group of powerful villagers were very strongly opposed to Baba. Under such circumstances, this Kote Patil couple got devoted to Baba from His first darshan and it continued till their last breaths ! They loved Baba as their own son. When majority of the populace was dismissing Baba as a mere ‘mad man’, Bayajabai gave Him the warmth of her love and affection. The detailed description of happenings, when the Kote Patil couple went to take Baba’s darshan for the first time, have been described by Shri Pandurang B. Kavade in his book titled ‘SHRI SAI MAHARAJ YANCHE CHARITRA’ (Life of Shri Sai Maharaj). Whatever it may be. But it is true that Baba had given Bayajabai the place of mother. No one else had the power to convince Baba against His wishes. Baba used to set aside His own pride and chit chatted with Bayajabai. He answered her questions very lovingly. From the very beginning Bayajabai was regularly sending bhakaris/rotis to Baba. She used to trace Baba by going through the various routes of the forest. She used to feed Him with her own hands. During the life time of Bayajabai and even after her passing away, a single day did not pass without Baba eating bhakari/roti from the Kote Patil household. Similarly, Bayajabai did not have her meals till she had fed Baba. After her demise, her son continued the tradition. “I am Tatya Ganpat Kote Patil, resident of Shirdi. On request I am furnishing the following information in the presence of Diwan Bahadur Shri Sai Abad Sansthan. I have been staying at Shirdi. Since my birth, I have been brought up by Shri Samartha Sai Baba. My both parents have been always in the service of Shri Samartha. We have always treated Shri Samartha as an elderly person from our household and as our family deity. Till some 12 years ago, Shri Samartha did not accept alms /dakshina from anyone. He used to manage His livelihood by asking for bhiksha at certain houses only. At the end of this statement, the signature of Late Tatya Kote Patil appears and is witnessed by prominent persons of Shirdi such as Ramchandra Dada Kote Patil, Bayajabai Appaji Kote, Pandurang Bhikaji Shelke and Sakharam Mahadu Kote Patil. Further, it is stated that at this event Rao Bahadur Hari Vinayak Sathe, Dr. Pillay, Chinchanikar and others were respected devotees of Baba were also present. “Their conversation was full of love and affection - as if it is a conversation between a mother and her son. Before starting the meals, Baba used to inquire whether they have prepared any non-vegetarian food. Because, for about 40 years, He had not even touched non-vegetarian food. Bayajabai also used to invite Baba for meals only when she had prepared only vegetarian food. Baba used to have bhakari, pithale, onions, chillies, pickles etc. He did not have any other item even if coaxed by Bayajabai. On some occasions, He used to have little milk. Even today, no one from Bayajabai’s household touches any food, till naivedya is first offered to Baba. As her end came nearer, Bayajabai became bed-ridden. At that time, on one or two occasions, Baba came to their house and gave some advice. The entire village was shaken up by this vibrant cry. Several generations of Bayajabai’s family were rich. Therefore, Baba asked them to perform the rites of 13th day on a grand scale. Thousands of poor people were given food on that day. Baba had asked His ardent devotee Megha to perform Gayatri - Purascharan. On 3rd January 1912, the rites were completed and meals were served to some Brahmins. On the same day evening, Ganpatrao Kote Patil (husband of Bayajabai and father of Tatya) passed away. After the passing away of Damuanna, when Nanasaheb went to Shirdi, he became inconsolable and began crying. At the Samadhi Sthan he heard Baba’s words, “Are Nana, the rites of fourteenth day have been performed and the mourning period has ended. Isn’t it ? You have eaten sweets now. Now don’t shed tears any more”. Nanasaheb was a Punyatma. He was a good orator and a social worker. He had relinquished his entire life at the feet of Baba. He had no attraction towards his family life. His every act and deed was connected to Baba. He was drenched in the shower of Baba’s Krupa. Since childhood his mind was getting prepared in devotion to Baba. Gradually, his Virakti grew. Simultaneously, his desires towards materialistic things and pleasures got destroyed automatically. In his heart, he believed that “It is the Sadguru who is the Karta and it is He who runs our lives.” He was a divine soul. He had excellent Vachasiddhi. He was known for his very stern nature. However, at heart, he was equally kind. He hated devotees who gossiped and behaved carelessly. He despised cheating and deceit. There was a reason for Nanasaheb referred Baba with such close familiarity. It was Baba who had asked Damuanna to give his first son to Him. Nanasaheb had expressed a desire that the coin should be cremated along with his body. And so was done. He had another fervent wish. Most of the Jyeshtha and Shreshtha devotees of Baba had coincidentally passed away on the auspicious day of Ekadashi. Nanasaheb wished that the day - on which he would breath his last – should be also Ekadashi. In his last days, he moved his residence to Shirdi. On the day of Ashadhi Ekadashi, there was a small reason for his suffering an injury. He fell down on his shoulder. His collar bone was damaged. He was admitted to the Sai Hospital and passed away on the same day. In his researched article, Balasaheb Deo writes, “If Shri Sai Baba is considered to be an incarnation of Lord Krishna, then Madhavrao must be regarded as Arjun.” In Shri Sai Sat Charita, Hemadpant has pictured Baba as Lord Shankar and Madhavrao as His Nandi. Any person studying Shri Sai Sat Charita will observe that - amongst the devotees who were close to Baba - Madhavrao comes near the top. Amongst the followers of Sai, there would not be any one who does not know Madhavrao. He served Baba till the end of his own life. Baba gave him the respect like Arjun - the place of a friend close to heart. It is a very vivid example of devotee-friend. Madhavrao - a person with great religious merit - was born in the year 1860 (Shake 1872 Margasheersha Shuddha Panchami) in the family of Yajurvedi Deshastha Brahmin. His birth took place in village Nimon (Sangamner taluka, Nagar district) about 20 miles to the west of Shirdi. Madhavrao’s mother was the fourth wife of his father Balwantrao. His first three wives did not bear any child. He, therefore, married the sister of Laxmanmama Kulkarni, a resident of Shirdi. He had three children from this fourth marriage. Of them, Madhavrao was the eldest. He was followed by Kashinath - who was adopted by another family and was named as Ganesh Shridhar Deshpande. Bapaji was the youngest brother of Madhavrao. (His story appears in Shri Sai Sat Charita). When Madhavrao was about 2-3 years old, his father came to stay at Shirdi with his entire family. Up to standard V-VI, Madhavrao’s education was carried out at Shirdi itself. As his entire life was spent in the rural atmosphere of Shirdi, his spoken language contained many impurities and many usages from the rural area. Madhavrao got married twice. His first wife was ‘Savitribai’. He had one son from her. His name was Eknathpant. His wife Ushabai was the daughter of Gopal Kacheshwar Kulkarni of Nighoj village. The name of Madhavrao’s second wife was ‘Dwarkabai’. They had two sons - Jagannathpant and Uddhavrao - and a daughter - Babitai - from this marriage. Babitai was married to Narayan Nagesh Wande of Parner village in Nagar district. Madhavrao was tall, robustly built and very healthy. His complexion was wheatish. He used to have a square diet and had a healthy appetite. Up to the age of 72, he did not suffer from any ailments. He did not suffer even from simple maladies like fever or head-ache. He entirely adhered to ancient religious traditions. His conduct was sacred and strict in observance of religious rites. Barring a few known households, he never used to have meals at others. He was expert in cooking. Therefore, generally he prepared meals with his own hands. After completing his own education, for a few years, he taught in the village school. Thereafter, till the end of his life, he worked as a village doctor. He used to give medicines after taking Baba’s name. From the beginning, Baba used to call Madhavrao as ‘Maza Shama’ (My Shama). Once, Kakasaheb Dixit was overcome with emotions and went to Baba. Baba asked him, “What do you want ?” Kaka replied, “I wish to be around You for ever.” Baba said, “Kaka, keep this Shamya with you. It will mean I am with you.” From that day, Kakasaheb accorded the same respect to Shama which he used to give to Baba. Seniors like Bapusaheb Butti and Narke also treated Madhavrao with the same reverence. As Baba used to call Madhavrao ‘Shama’, he used to refer to Baba as ‘Deva’. Majority of the devotees used to place their questions or other matters before Baba by going through Madhavrao. Even elders like Bapusaheb Butti and Kakasaheb Dixit approached Baba through Madhavrao. The end of Bapusaheb Butti’s life had come very near. Madhavrao was beside him. Butti was still conscious. He called Madhavrao near him and said, “Madhavrao, now I am unable to bear the pains. It will be better if Baba takes me near His Feet. I know you very well. When I am near you, I feel as if I am near Baba’s Feet.” While uttering these words, tears were flowing from Bapusaheb’s eyes. He was overcome with emotions and placed his head on Madhavrao’s feet regarding them to be Baba’s. After the demise of Bapusaheb Butti, his son Shrimant Keshavrao Butti also accorded the same respect to Madhavrao. On pilgrimage tours, he used to take Madhavrao with him. Similarly, he used to welcome Madhavrao at his Nagpur house with lot of hospitality. He used to pay some amount as a monthly pension to Madhavrao till the end. After the death of Madhavrao, some donation was given by Keshavrao Butti to Madhavrao’s son Eknath to be used for the last rites. Once, while in Shirdi, Kakasaheb Dixit suffered from Navajwar (a deadly fever which lasts for nine days). Lots of risks are associated with this disease and in those olden days, many times it used to prove to be fatal. Baba told Kaka to go his home in Parle. Kaka was unable to understand, why Baba was asking him to go to Parle instead of keeping him near him. Just then, Baba said, “Take care. Take this Udi and take Shamya also with you !” Even though, Kakasaheb was suffering with the illness, he was happy that Madhavrao was coming with him. Those 9 days were really difficult for Kakasaheb. However, he survived on the strength of his devotion to Baba and company of Madhavrao. Whenever Madhavrao was not in Shirdi or was not present in the Masjid, a few devotees would communicate directly with Baba and place before Him their difficulties. However, the answers given by Baba at such times used to be somewhat different. It was in 1913, Narke first came to Shirdi. At that time, Shri Butti and Shri Dhumal introduced Madhavrao to him saying - he is a ‘very useful person from Shirdi’. And in reality, Madhavrao was a very helpful person in Shirdi. Though he was a Bhikshuk Brahmin from a small village, his face used to radiate like that of a learned person from a city. Baba used to talk in riddles. But, as Madhavrao had spent considerable time with Baba, he was able to catch the meaning very quickly. This is the story of Shri Tarkhad, when he visited Shirdi in December 1910 for the second time to take Baba’s Darshan. At that time, only Sathe Wada was available for staying. Tarkhad wanted to spend time away from the routine, daily responsibilities and problems of his job and family. His main wish was to spend the time at the feet of saintly person and get some peace of mind. On that occasion, he had come alone to Shirdi. On his arrival, he was very much fatigued because of the hassles of travelling, the strong sun and an unsatisfied urge to have tea since morning. Tarkhad had just reached Sathe Wada. Immediately, his charge was taken by two gentlemen not very closely known to him. They bombarded him with questions relating to spiritual matters. However, he did not outwardly show that he is tired of their questions. He enjoyed the cup of tea provided by Balabhau (nephew of Nanasaheb Chandorkar. Nanasaheb had started an eatery for him in Shirdi.) and went to take Baba’s Darshan. However, he could not help thinking that ‘I came here to get away from the botherations of Mumbai and have some mental peace. But, it seems that the nuisances would not leave me here also. I think, I unnecessarily came here. Mumbai was better.’ Such conflicting thoughts started going through his mind in just five minutes. In the same mental status, he went with Madhavrao to take Baba’s Darshan. As per usual custom, he lit incense and camphor, placed coconut and bowed down in front of Baba. In blessing, Baba placed hand on his head, gave fruits as Prasad and asked him to be seated. In his own mind, Tarkhad was getting himself ready to take Baba’s permission to return to Mumbai. Seeing this miracle, Tarkhad was overwhelmed with emotions and placed his head on the ground in front of Baba. He realized the teaching of Baba - Even while facing the problems of day to day life, a disciple must be unwavering in his devotion to his Sadguru and his contentment must be constant. Irrespective of Baba’s mood – may He be angry or irritated – Madhavrao used to confidently go near Him, fill His Chillum and change Baba’s mood by tactful talk. Not only this, Madhavrao used to sometimes even quarrel with Baba, get angry with Him, bind Him with vows and sometimes even tell Him a few things of advice. Baba – realizing the love and affection that Madhavrao had for Him – used to only smile. Baba never got heated with him. Because Madhavrao’s total persona had become ‘Saimay’. He constantly chanted the Jap “Sainath, Sainath, Sainath”. While he was awake, sleeping or dreaming, he saw only Sai. His all senses were laid at the Feet of Sai. Madhavrao came to Shirdi in his childhood. Later on, he started working as a deputy or assistant teacher in the local school. He used to conduct his class in a room built by circle inspector Gopalrao Gund. (For sometime Radhakrishna Aai stayed there and towards the end, it became a stable for the horse ‘Shri Shamsundar’.) The room was made of bricks and mud. In one wall facing the Masjid, it had a small window. Madhavrao could see Baba sitting in the Dwarkamai or Masjid and observe His activities. Sometimes Baba sang songs in Arabi or Persian languages and Madhavrao could hear them in his class room. When Madhavrao started working in the school, his age was about 14-15. At that time, he looked upon Baba as a Chillum smoking, little mad young Fakir. Then he did not consider Baba as a ‘Sagun Parmatma’ or ‘Siddha Purush’. This was the state of his mind for initial 10-12 years. The next 10-12 years, he started considering Baba as ‘Sat Purush’. Thereafter, as he spent more and more time in the company of Baba, he realized that Baba was a ‘Siddha Purush’ and ‘Moortimant Sagun Parmatma’. He spent about 20-22 years obeying His Aadnya and serving His devotees. Thus, Madhavrao spent 42-43 years of his life in incessant company of Baba. Madhavrao first saw Baba in the dilapidated Masjid. Shri Narke was very curious about Madhavrao’s unique relationship with Baba. It was Shri Narke’s nature to study things and find out cause. Accordingly, he wanted to know the reasons behind the familiarity in conversation and acquaintance between Madhavrao and Baba. The families of Madhavrao and Narke were very close. Taking advantage of this, Narke asked probing questions about the matter. Then, Madhavrao told his own story in detail. Madhavrao’s health was robust. If any devotee got sick, then he would carry him on his own back to the Masjid. Once, Bapusaheb Butti was suffering from typhoid. At that time, Baba had asked Madhavrao, “Bring him to the Masjid on your back.” Generally, it was Madhavrao’s duty to bring ailing devotees on his back. After completing evening stroll, Baba used to sit in the Masjid. At that time, besides specific 3-4 devotees, no one else was allowed to come to the Masjid. However, Madhavrao had no such restrictions on his coming, going or asking things to Baba. If he went to Baba at odd hours in the night, Baba pretended to get furious like Nrisinha; but also quickly get pacified. Once, Tatyasaheb Nulkar became seriously ill while in Shirdi. His last hour came near and he disclosed a desire to get holy water from Baba’s Feet. It was almost 1-1.30 in the night. Who could dare to go to Baba at such an hour ? Madhavrao got up and went to the Masjid with Pali and Panch-patra. Baba got up from His place and roared, “Who is it ?” On getting reply that “I am Shamya”, Baba said, “You came at this hour” and pretended to come to hit him. He stood on the Masjid foundation with one leg in the front. Baba was saying “No !” and Madhavrao was daring to inch forward. Of course, as Tatyasaheb was an ardent devotee, Baba had also put forward his toe. Madhavrao immediately dipped the toe in the water carried in Panch-patra and fulfilled the last wish of Tatyasaheb. Like He used to give to other devotees, Baba never gave money to Madhavrao. Once, Shinde Sarkar wanted to give Rs. 5,000 to Madhavrao; but Baba did not allow him to do so. Though Baba did not give money to Madhavrao, He gave him tremendous love. Every afternoon, Baba used to make Kala of the different Naivedyas that were received and distributed it amongst the few devotees who asked Bhiksha in the noon. Madhavrao was one of them. But, assuming that he would not like the mixture of Kala, Baba waited till everyone else had finished their meal and then gave Madhavrao a plate full of slices of mangoes. Fatima j Sairam, may baba bless you for sharing these golden wisdom with all. May it confirm Sradha & Saburi in all of US. Thanks a lot for your kind words.May Baba bless us all. Once, on Baba’s instructions, Madhavrao went to Bapusaheb Butti at Nagpur. While there, he went for the Darshan of Shri Tajuddin Baba towards the South of Nagpur. When He wanted to teach a lesson to a person, He used to ask him to give a body massage. Even, persons like Tatyaba Patil, Mahadu Phasle, Madhavrao Deshpande, Annasaheb Chinchanikar, Mavshibai and others are known to have been asked to do the task for hours together. They used to press His back and massage His body till their body was covered with sweat and they had difficulty in breathing. Still Baba did not say “enough”. Ultimately, they gave up the task on their own. Further, Madhavrao used to mix Baba’s Udi in the medicines. Besides, he also used to refer to books on Ayurveda from time to time. He used medicines manufactured in the factories of Puranik (Panvel) and Sandu (Chembur). He also prepared some of the medicines himself. Madhavrao was very discreet and diplomatic. Baba did not give him any money. Madhavrao had some income from a piece of land at village Nimon as well as from his medical practice. He used this financial income very judiciously and even managed to undertake expenditure for looking after certain visitors as per instructions of Baba. People brought him to the Mandap. But, on seeing him, Baba started yelling, “I am warning you not to come up ! At this instant, get down and go away ! If you do not listen to what I say, I will make you into pieces like seeds of Mustard.” Hearing these words of Baba, Madhavrao was aghast. Other folks were also surprised. Madhavrao started crying. He was unable to understand, why Baba – Who allowed him to come near at any time of the day – had suddenly become stone-hearted, when death was hovering around him. No one understood at that time that Baba was warning not Madhavrao but the snake venom not to come up, get down and go away ! On some occasions, Madhavrao used to suffer from ailment of piles. At such times, he was a really harassed man. For relief, he used to take fomentation of a brick. He never used any medicines on himself without asking the permission of Baba. Once, he was suffering from an attack of piles. Baba said to him - “We will do the treatment in the afternoon.” Accordingly, Baba prepared a concoction of an Ayurvedic herb called ‘Sonamukhi’ and gave some of it to Madhavrao. He immediately got relief. Two years thereafter, Madhavrao once again had an attack of piles. He on his own -without consulting Baba - took some amount from the concoction already prepared by Baba in the past. However, instead of bringing relief it aggravated the problem. After a few days, with the blessings of Baba, Madhavrao started feeling well. He realized that the power of healing was not in the medicine but in the blessings of his God. It may be mentioned here that, Madhavrao did not go anywhere on his own. It was Baba Who sent him to different places. And, once he was away, Baba became restless without him. Madhavrao had two large earthen pots which were full of Udi from Baba’s hands. Madhavrao had kept the pots very carefully in a corner of an inner room of his house. After the Mahanirvan of Baba, Madhavrao distributed some of the Udi on special occasions amongst the devotees. The women folk from the house were not aware about the Udi. Once, they set upon the task of cleaning the house. And, in the process, they moved out the earthen pots with an intention of throwing them away. At that time, Madhavrao was in Mumbai. That night he had a dream and heard, “Shamya. Get up ! The Udi - which you had so carefully kept - will be soon thrown into garbage dump. Go, Go quickly and keep it properly !” Within seconds, Madhavrao got up from his sleep and rushed to Shirdi. He realized that his dream was true. He took the pots into his custody and moved them to the upper floor of the house. 3-4 years prior to his death, Madhavrao suffered from gout. At that time, his age was more than 75 years. At the request of Kakasaheb Dixit, he was staying at that time on the upper floor of Dixit Wada. From there, he was unable to come down everyday. He had lost considerable strength. In spite of this, he used to speak and incessantly narrate experiences of Baba. Baba went to Madhavrao’s house especially on two occasions – firstly, when Madhavrao was bitten by a scorpion and secondly, when he was running a very high fever. On not seeing Madhavrao in the Masjid, Baba enquired with the devotees, “Why Shamya has not come for the Aarati ?” The folks said, “Baba, he has fever.” Baba took hold of his worn Kafni, went to his house and brought him for the Aarati. Madhavrao stayed in Kakasaheb’s Wada and also looked after the maintenance of the Wada. Kakasaheb was affectionate towards Madhavrao and made him stay in his Wada. On the other hand, he let out Madhavrao’s own house on rent and thus, helped in improving his means of living and finances. After the death of Kakasaheb, Madhavrao used to issue his rent receipts in the name of the Sansthan. Even Bapusaheb Butti entrusted the work of maintenance and supervision of his Wada to Madhavrao. For this work, Bapusaheb gave Rs. 7 every month to Madhavrao. After the death of Bapusaheb, his son Keshavrao continued the practice. “Kakasaheb Dixit, Bhausaheb Dhumal, Annasaheb Dabholkar were virtuous devotees who did not experience sufferings before their demise. Madhavrao was similarly fortunate. He spent only a night and time up to noon in an unconscious state. He passed away in his own house on Thursday, 26th April, 1940 (Chaitra, Krishna Chaturthi, Shake 1862). At that time, he was 80 years old. Very rarely, a person is fortunate enough to have such a peaceful death. This is not possible without the good deeds of the past. After Baba took Samadhi, Madhavrao spent the next 23 years in practicing medicines, looking after the devotees and narrating Baba’s Leelas to curious devotees. It would be proper to say that – besides Mhalsapati and Tatya Patil – Madhavrao was the only other person who had the great fortune to spend so much time in the company of Baba. There were persons who were ardent devotees of Baba. However, amongst them, the love and affection between Baba and Madhavrao was somewhat unique. Balasaheb Deo – an ardent devotee of Baba – was curious about this relationship between Baba and Madhavrao. He carried out an in-depth research on Shri Sai Sat Charita to ascertain the reasons, why Madhavrao was so close to Baba, why he was so fortunate to have such Bhakti-vaibhav (wealth of devotion) and why Baba used to agree to many things which Madhavrao asked. For the purpose, Balasaheb also studied the life of Madhavrao. On 2nd April, 1934 Madhavrao placed two chits before Baba’s Samadhi and took Baba’s permission before narrating his life story to Balasaheb Deo. From the very early times, Baba used to call Madhavrao as ‘Shama’ and Masjid as ‘Dwarkamai’. Balasaheb felt that there was a reason behind this. After careful study, Balasaheb came to conclusion that there were similarities between the relation of Lord Shri Krishna with Arjun on one hand and Baba and Madhavrao on the other hand. * A reference to 37th Shloka in 10th Adhyay of Bhagwad Geeta reveals that Bhagwant had given his own name ‘Shri Krishna’ to His devotee ‘Arjun’. Similarly, Baba had given the name Sham to Madhavrao and indicated that Sham is His own Vibhuti. * Similarly, Madhavrao used to call Baba by the name ‘Deva’. In Bhagwad Geeta, Arjun has also called Lord Shri Krishna as ‘Deva’ on several occasions. Once, in an angry mood, Madhavrao said, “It is we who made you God. You give money and wealth to others; but are very miserly as far as I am concerned.” Baba smiled indulgently at him and said with affection, “Are Shamya, the wealth of money is not for you. What is for you is very much different than that.” Madhavrao understood the significance of this and remained quite about the matter. * Arjun had once felt that the Lord is talking irrelevant things and had got angry with Him. Similar incident took place in Madhavrao’s life also. Once, Madhavrao’s eyes were swollen and were paining. Even after trying out several medicines, there was no relief. Ultimately, in a foul mood, he rushed to Baba and said, “Are you blind ? Can’t you see that I am suffering ?” Baba smiled and relied, “Don’t get wild. Take seven seeds of Pepper, soak them in water and apply the water to your eyes. And take some Udi also.” Though Madhavrao knew that such water may bring stinging sensation to his eyes, he had full faith in Baba. He went ahead, tried the home remedy and received instantaneous relief. There is another incident concerning the wife of Sakharam Aurangabadkar – a resident of Solapur. Madhavrao had forced Baba to gift a coconut to her and warned Him to bless her with a child or “else I will bang the same coconut on Your head !” The lady really had a child within a year. At the time of noon Aarati, Madhavrao would scold Baba to “to sit and distribute Prasad.” Baba also followed Madhavrao’s orders without a whisper. * Arjun had requested Lord Shri Krishna to give him Vishwaroop Darshan. Similarly, on Madhavrao’s insistence, Baba told him to close his eyes and blessed him with the view of Satya Lok, Vaikuntha Lok and Kailas Lok ! From the above incidents, one would realize, how apt was the comparison made by Balasaheb Deo between Arjun and Lord Shri Krishna and Madhavrao and Baba. We experience the above saying of Sant Dnyaneshwar - on one hand - in Lord Krishna and Arjun and on the other hand in Sai Baba and Madhavrao. In his alliance with Lord Krishna, Arjun came so close to the Lord that he himself became the form of the Lord and they became Advait. Similarly, Baba gave the title ‘Shama’ to Madhavrao and thus, proved that the both were united. Every devotee wanted Baba to be with them; but Baba always told them, “Take my Shama with you”, “Let my Shama be near you and I am near you’’ or “Don’t worry when my Shama is with you’’. Baba said so to devotees, who came to Him with many requests - to accompany them on travels, visit their homes for meals, be with them in their times of difficulties..... so on. Bapusaheb Butti had heard Baba saying similar things about Shama and had also experienced this on several occasions. At the time, when Bapusaheb felt that his death was near him, Madhavrao was nearby. Butti saw Baba in Madhavrao and placed head on Madhavrao’s feet and asked for blessings. There were occasions, when Madhavrao and other devotees posed same question to Baba; but the answers that they received were different. To the confused devotee seeking clarification, Baba said, “The answer that I gave to Shama was proper”. Baba gave benefit of many meetings with saintly persons and visits to pilgrimages to Madhavrao. He also gave Shama the Vishva-roop Darshan and said that everything for Shama is unique. The God gives experience of Advait to His devotees and still appears in Dvait Roop. Because, only in Dvait Roop it is possible to enjoy the love of the God, and secondly, to whom can the Lord express his innermost feelings otherwise ? From the time Baba arrived in Shirdi till His Mahanirvan, Mhalsapati was an ardent devotee of Sai Baba. It is very difficult to evaluate his services. He had turned his back on his family life and had devoted his entire life at the Feet of Sai Baba. His full name was Mhalsapati Chimnaji Nagare. Though particulars about his birth are not known, it is estimated that at the time of his death he was about 85 years old. He was a goldsmith by caste and his several generations had resided at Shirdi. He had a house consisting of about 14-15 rooms and land admeasuring nearly 7-7.5 acres at Shirdi. His family Deity was Khanderai. Because of this, he was a dedicated follower of Khanderai of village Jejuri in Pune district. At least once every year, he went on a pilgrimage visit to Jejuri temple. Basically, he was disinterested in worldly things. He managed his household expenses by carrying on the business as a goldsmith. However, later on when his business was not doing well, he started supporting his family by collecting alms as advised in a vision by the God. After he placed his entire faith in Sai Baba, he totally gave up all the worldly pleasures. Mhalsapati had four daughters. Their names were – Janakibai, Seetabai, Rakhumabai and Vithabai. Their grooms were respectively from Asnagaon. Dochale, Dorhale and Sei. Mhalsapati also had two sons. The first son died at an early age. Because of this, Mhalsapati further lost his interest in worldly things. Later on, due to the blessings of Baba, second son was born to Mhalsapati – though against his own wishes. As suggested by Baba, he was named ‘Martand’. He raised his own family of sons and daughters and died recently in 1986. Mhalsapati has narrated his experiences to his son Martandrao, who has written them down. Three residents of Shirdi - Kashiram Shimpi, Appa Jagale and Mhalsapati were very thick friends. All the three were loving, hospitable and had similar natures. This was the reason for their close friendship. These three collectively took the responsibility of providing food, shelter and other requirements of any saintly or pious persons, who visited Shirdi. They greeted Gosavi with “Namo Narayan”. Bairagi was welcomed as “Jai Ram” and if the visitor was Fakir, he was received with “Jai Sai”. The guests were always received with utmost respect and affection. Kashiram Shimpi provided the foodstuff. Appa Jagale gave firewood, utensils etc. Mhalsapati used to massage the tired feet of the visitors. As is well-known, at the age of sixteen, Baba had suddenly appeared in Shirdi and equally unexpectedly He disappeared. After a lapse of three years, Baba once again came to Shirdi. This time He came as a member of the marriage procession of the household of Chandbhai from the village Dhoopkhed. The marriage party had halted in Mhalsapati’s farm opposite Lord Khandoba temple. Seeing the radiant young Fakir has come back, Mhalsapati, as per his usual practice, welcomed Him with “Aao Sai” and bowed down in front of Him. After completing his Pooja, Mhalsapati partook chillum with Sai and then he took Baba to the Masjid in Shirdi. He made Him comfortable there and also introduced Baba to his friends - Kashiram Shimpi and Appa Jagale. Thereafter, Baba and these friends used to sing songs, play games and smoke chillum. Very soon, Kashiram Shimpi and Appa Jagale became ardent devotees of Baba. As narrated by Mhalsapati, when Sai Baba first came to Shirdi, His attire was saffron Kafani, saffron topi and saffron dhoti. Later on, Kashiram Shimpi stitched a green Kafani and topi for Baba, which He used to wear. After a few days, Baba started wearing white Kafani and tying dhoti around His head. He continued to do so till the end. Mhalsapati very affectionately and humorously said to Baba, “Let him construct a new one ! It will be convenient to both of us – to sit, as well as sleep”. This conversation took place between the two while smoking chillum. Baba gave permission to repair the Masjid only after first asking Mhalsapati. As directed by Baba, Mhalsapati called Nana Saheb, performed the muhurta by breaking a coconut and the work began. As is well-known, Baba used to sleep on alternate days in Masjid and Chavadi. Since the time Baba went to stay in Masjid, Mhalsapati and Tatya Patil started sleeping with Him there on alternate days, when it was not the day of Chavadi. Only these two had the good fortune to sleep with Baba in the Masjid. In fact, Baba always kept Mhalsapati and Tatya awake ! In the secluded atmosphere, Mhalsapati spent several nights in sitting with Baba and chitchatting till it was daybreak time. After the Mahanirvan of Baba, Mhalsapati continued his custom of sitting in the Masjid and sleeping there on alternate days. This continued till he breathed his last. The relation between Baba and Mhalsapati was really strange, as well as intriguing ! It seems that, because of this, their extraordinary conversations took place in isolated surroundings. The discussions used to become more and more interesting while enjoying chillum. Baba was fond of smoking chillum. He was not used to finishing entire chillum. Mhalsapati, Tatyaba and Madhavrao Deshpande alias Shyama used to take 2-4 drags and pass it on turn by turn amongst the other people present at that time. “On alternate days, Baba used to come to Chavadi for sleeping. On that particular day, as per His custom, Baba and Mhalsapati came to Chavadi. They sat in the darkened area at the entrance of the Chavadi. My husband Late Govindrao Kanitkar also went and sat there. They were having a pleasant chat. While carrying on the conversation, Baba lit His chillum and shared it with Mhalsapati. It was also passed on to my husband. It was difficult to know what they were talking about. But, from time to time, Baba was asking, “Ka Mhalsapati ?” (Isn’t it Mhalsapati ?) And Mhalsapati was repeatedly saying “Beshak, Beshak” (without doubt, without doubt) – repeating the words twice. However, a third person was not able to grasp, what they were talking. Because of the continuous association with Baba, Mhalsapati was able to understand the meaning of outwardly weird actions. On several occasions Baba’s other devotees were puzzled by His strange and intriguing utterings. Many of them, therefore, approached Bhagat (as Baba used to call Mhalsapati lovingly), and sought clarifications in the matter. He was able to explain Baba’s symbolic signs or mysterious words. In the evening, once the lights were lit up, Baba’s devotees were forbidden from coming into the Masjid - the only exceptions being Dada Kelkar, Mhalsapati, Tatyaba, Mahadu, Abdulbaba and Laxmibai. Barring these, no one else was allowed to enter the Masjid at night. Mhalsapati had a liking for passionless life not having any interest in the worldly things. Baba allowed him to do so. Financially, he was very poor. However, rather than spending his time on earning a livelihood, he spent his entire time in the Masjid serving Baba. By nature, he was extremely devoted to Baba and took pleasure in serving Him. Because of this, Baba was very much fond of him. Mhalsapati’s influence on Baba was also very strong. Because of this, the spiritual experiences felt by him were equally worthy. “A forty year old story. My mother had gone to her brother’s place at village Nandur Shingote. As per his usual practice, my father was sitting near Baba. All of a sudden, Baba said to him, ‘Are, My devotee is suffering a lot from a boil. See, there is a boil on My hip also. But, now it will be cured.’ My father actually saw that Baba had a boil on His hip and He was suffering from the pains. He was, therefore, worried. But, Baba Himself said, ‘Don’t worry. It will be alright in two-three days.’ All this was ambiguous talk. My father did not realize that it was in fact related to him-self. After two-three days, the boil on Baba’s hip burst open. Two-three days later, my father received a letter from village Nandur Shingote. It was written that my mother had a boil at exactly the same place and had suffered a lot from it. But, as soon as Baba prayed in Shirdi, she was relieved of the pain and now, even the boil had burst open. Baba knew events of past, present, as well as future and accordingly, He used to guide His devotees. Once, He said to Mhalsapati, “Bhagat, at village Asnagaon (Taluka Kopargaon) don’t go to Rambhau Londhe and Dorhale’s daughter. You will be insulted there.” However, due to some unavoidable reasons, Mhalsapati was required to go to both the homes. And, as predicted by Baba, he was insulted there. The above incident took place in the morning. After two hours, in Dixit wada, people were busy with the meals. Suddenly, a dog appeared and stood on the steps. After it was driven away, it went to the neighbours staying opposite. It got beaten there and ran away yelping loudly. After hearing the noise, everyone remembered, what Baba had said on the very morning. They felt that a piece of bread would have served the purpose and the dog also would not have received a beating. Coincidentally, exactly this story narrated was by Das Ganu Maharaj in his kirtan on the same day evening. Further coincidence is, on the same day evening, Madhavrao Adkar was reading ‘Bhakti Leelamrut’ in the Maruti Mandir. There also the same story appeared. Everyone was amazed by this method adopted by Baba. Baba always kept Mhalsapati away from any greed for money. In spite of his poor financial condition, Mhalsapati on his own never accepted any money given to him by any one. After some time, Mhalsapati completed the Pooja and went away. Then, Baba asked Kaka Saheb, “How many rupees are there ?” He answered, “Ten”. Baba asked him to keep them on His mattress and asked Nana Saheb Nimonkar to distribute the amount amongst other people. Thus, out of that amount, nothing went to Mhalsapati. Hemadpant has written about Mhalsapati that he was not a devotee of money; but he had great hunger for Paramartha (divine truth). He had placed his body and soul at the Feet of Sai Baba. He was affectionate and self-less. On the full moon night of Margashirsh (a month as per Hindu calendar), Baba suffered from a sudden attack of asthama. To over come it, He went into a Samadhi and took His Jeev (life’s essence) to Bramhand. He told everyone around, “For three days from now, do not wake Me up. And at the end of the third day, if I do not rise, then [pointing to a corner of the Sabha Mandap (meeting hall)], dig a Samadhi there and place Me in it !” Then, turning to Mhalsapati, He said, “Bhagat, do not neglect Me for three days.” Thereafter, His body became lifeless and He rested on Mhalsapati’s lap. His breathing and pulse stopped. After some time, everyone gave up hope about Baba. Patil – Kulkarni carried out a panchnama (legal procedure) and started making preparations for the last rites. However, Mhalsapati had not given up hope and did not move Baba’s body even an inch from his lap. He sat day and night for three days. After three days, at three o’clock in the morning, Baba’s body started showing signs of life. The breathing began, eyes opened slowly, the stomach started moving. And, after stretching His body in different directions, Baba awoke and sat up. This practice was resented by the Muslims. They complained about it to Baba. But, Baba did not heed to their request. The community then brought the Kazi (Muslim priest) from Sangamner. After seeing this, Mhalsapati got scared. That day, as usual, he completed the Pooja of Shani, Khandoba, Maruti and Ganapati and proceeded without doing the Pooja of Baba. As he passed the Masjid, Baba objected and said, “Are, why are you passing from the going outside, without doing Sa-gandha ?” Mhalsapati said, “I was avoiding it; because it would make Kazi Saheb angry.” Baba replied, “Apply the sandal-wood paste – here and here.” And pointed to His forehead, throat, head and hands. Such a pious man, left for his place at the Feet of Sai Baba on Tuesday, 12th September, 1921. His body was consigned to fire near Lendi Baug. Thank u for all the posts. I came to know a lot of details which I dont know. BABA bless u. Great job fatima dear. Please continue posting. Your post 'babas leelas' is also wonderful. Baba bless you and be with you always. Laxmanrao Kulkarni Ratnaparkhi was maternal uncle of Madhavrao Deshpande. He was a resident of Shirdi itself. He was an orthodox Brahmin. He used to follow the laws of touchability and religious rites very rigorously. As Laxmanrao was the maternal uncle of Madhavrao, he was known as ‘Laxman Mama’ in the village. He was the Vatandar Kulkarni and Gram Joshi of Shirdi Village. While the devotees were experiencing Baba’s miracles, Laxmanrao maintained a distance from such things. He not only had no faith in Baba, but he was a very staunch opponent of Him. An unlearned person is likely to fall into prey to bad ompany and habits. He may listen only to his ego and have belief only in himself. Gradually, he starts thinking that he is bigger than God. To bring such a person to the proper path, Bhagvant gives him certain jolts. The person starts coming back to his senses. Then, the Almighty enters his inner soul and gives him deliverance. It so happened with Laxmanrao. The great egoist fell ill with an incurable disease. His sufferings knew no limits in spite of the various remedies he tried. Ultimately - as a last resort - he came to Baba’s Masjid. There was a miraculous change in Laxmanrao from the time he stepped into the Masjid. On top of it, he had the blessings of Baba. From that moment, he became a devotee of Baba. On another occasion, Baba took a test of Laxmanrao. Bappaji was the only son of Laxmanrao. When he was young, he ailed from some incurable disease. But, now Laxmanrao had faith in Baba. Therefore, along with other medial remedies, everyday he started bringing Udi from Baba’s own hands and giving through water to Bappaji. But, suddenly, Baba shouted at him, ‘‘Go away !’’ He even started showering abuses. Laxmanrao got scared. He was unable to understand Baba’s strange behaviour. In reality, now Laxmanrao had started believing in Baba. However, his old traits had not been completely eradicated. Some of his ego was still lingering. A few questions and doubts used to crop up in his mind - time and again. With a heavy heart, Laxmanrao returned home. And after some time, Baba got up from His place. He came down the steps of the Masjid and straight away went to Laxmanrao’s home. With love and affection, He moved His hand over Bappaji’s body and immediately turned back. From that moment, Bappaji got relief. Now Laxmanrao began believing that Baba is God Incarnat. He decided that in his every deed he will remember Baba. Early every morning, Laxmanrao used to complete the rituals of Snan-sandhya and then came to the Masjid to avail Baba’s Darshan. He used to wash Baba’s Feet (Pad-prakshalan), used anoint Gandha Akshata, draw a Tilak, place flowers and Tulsi leaves, offer Dhoop - Deep -Naivedya and Dakshina. Thereafter, he used to prostrate himself before Baba and take His blessings. He used to distribute Prasad amongst those present. And then, he used to proceed to perform Pooja of other Gods and Goddesses of the village. This was his daily routine and he adhered to it till the end. With great devotion, he served Baba. There was havoc after the Maha-nirvan of Baba. Everyone was moved with deep grief. On that night, Baba’s mortal body was placed in Masjid itself. Next day, it was moved to Butti Wada. Therefore, as instructed by Baba in the dream, Laxmanrao arrived at the Masjid with full preparations for performing Pooja. He prostrated before Baba, removed the cloth covering the face and took the last Darshan, and proceeded to perform Pooja. Many - who were present experienced Baba’s hands moving at that time. Time and again, Laxman Mama’s eyes were getting filled up with tears. His body was trembling. In that state, he opened Baba’s closed fist, placed Vida Dakshina, covered the body and departed from there. This was the way in which Baba showered His blessings upon Laxman Mama. Baba entered Mama’s dream and made him perform the Aarati. After Laxman Mama’s demise, his only son Bappaji became Vatandar Kulkarni and Gram Joshi of Shirdi Village. Bappaji was fortunate enough to be around Baba for close to twelve years when Baba was Dehdhari. Bappaji said that Baba believed in reincarnation of man. In the year 1917, Lokmanya Tilak had come to Shirdi and offered coconut and garland to Baba. Baba returned the coconut as a Prasad to Tilak. Bappaji was present in the Masjid at that time. Bappaji was a good Keertankar. He was well read as far as religious books are concerned. Mahadu Phassle was a old Sevekari of Baba. His real name was ‘Madhav’; but in Shirdi, he was known as ‘Mahadu’. Since his childhood, he developed an attraction towards Baba. As a young man, he served and stayed with Baba. From morning till night, he was always ever willing to serve Baba. He used to do a lot of chores - sweeping the Masjid, cleaning the mat on which Baba sat, fill-up water in the tub kept near the steps, draw lukewarm water for Baba’s bath, anxiously wait for Baba to finish His bath and then wipe His body, clean the Hundis (lamps) kept in the Masjid and Chavadi, help Abdulbaba in lighting up the lamps, look after Baba’s horse, etc. There was a room, adjoining the Dhuni, which was used for storing fire-wood. Baba had -with His own hands - constructed almost three-fourths of one wall of that room. At that time, Mahadu had assisted Baba by making mixture of mud. Baba had stacked the bricks and then plastered the wall with the mud. At the time of Baba’s mortal end, Mahadu handed over the Chillum and Satka used by Baba to Bapusaheb Jog. Bapusaheb had kept both these articles in his Pooja Ghar. Later on, when Bapusaheb shifted his residence to Upasani Ashram at Sakori, he took these sacred articles with him. In due course of time, these articles have been preserved in the Sai Sansthan. This is a story of 1936. Baba's Muslim devotee Chhotekhan and Mahadu Phasale were sleeping in the Masjid. Chhotekhan heard Baba's voice saying, “Are Mahadu, get up ! I have to pass urine”. But, Mahadu was fast asleep and could not get up. Next day morning, it was observed that at the place, where Baba used to sit, there was a poodle of water and a sweet fragrance was emanating from it. He was a close friend of Bapusaheb Butti of Nagpur. Therefore, soon Dhumal took Bapusaheb Butti with him to Shirdi. Like Dhumal, Butti also became an ardent devotee of Baba in the very first visit. Dhumal’s entire life was spent in his ancestral house at Nasik. Once, there was an epidemic of plague all around and on top of that he found a dead rat – a deadly carrier of a fatal epidemic of plague – in his house. He did not know whether he should move his family out of the house for sometime and save everyone’s life. He sent his query in a letter to Baba, Who asked him to move into another house. He did accordingly. However, in this also another dead rat was found in the same night. Dhumal again enquired, whether he should leave the second house also. Baba replied in negative. Dhumal acted accordingly keeping full faith in Baba. A few days later, some more dead rats were spotted at different places in the same house. Dhumal once again sent a letter to Baba and in the meantime, anticipating a positive reply, packed his belongings to move to a third house. Baba replied, “Why move ? Stay where you are !” Dhumal did likewise and continued staying in the house. Around him, he saw daily 14-15 deaths because of the epidemic. But, no harm came to him or his family. In 1909, when Dhumal was only 36 years old, his wife died an untimely death. He was young, dashing and a well-known lawyer. His friends and relatives began persuading him to get married once again. However, Dhumal was firmly of view that such a marriage was possible only if permitted by Baba. A famous lawyer from Nagpur – Bapusaheb Kinkhede – took him to Baba to seek the permission. Baba just glanced at him and Kinkhede realized that the permission has been declined. Till his death, Dhumal adhered to Baba’s wishes and remained single. He had earned a lot of fame and money in his profession. However, he gradually absolved himself of family responsibilities and turned toward Virakti. After the death of his wife, Dhumal concentrated his energies on further studies in the legal professional and started planning for Barrister-ship. Bapusaheb Butti showed readiness to finance his study abroad as well as expenses of Dhumal’s family in India. However, Baba declined permission saying, “Your Vilayat (England) is here only.” Dhumal adhered to Baba’s wishes. This is an incident which took place in the year 1910. At that time, there were two warring groups in Shirdi. One of the groups targeted Raghuji Shinde (elder brother of Bhagoji Shinde, a Sevekari of Baba) and 4 others and falsely implicated them in a case of molestation of a Marwadi woman. Tatya Patil was confident that these people are innocent. But, several learned persons like Dadasaheb Khaparde, Kakasaheb Dixit, Raobahadur Sathe etc. felt that it was difficult to prove so. Tatya Patil approached Baba and He advised him to go to Dhumal. Dhumal felt that a lawyer from Mumbai would be necessary to handle the case. However, Tatya pointed out that Baba had Himself suggested his name. Then, Dhumal studied the matter in detail and prepared necessary papers. He visited the British district magistrate at his residence and presented his papers. The district magistrate said, “At a first glance, there appears to be a prima facie evidence. What do you say ?” Dhumal replied that “This case and its witnesses is a work of fabrication and is a result of enmity between two warring factions.” The district magistrate enquired, “Are, you fully convinced about this ?” Dhumal expressed his utmost faith. The district magistrate issued orders releasing the persons. British district magistrate expressed interest in Sai Baba and said that he would like to visit Him. The persons were released without discussing the matter with police prosecutor or without studying and reading any other papers. Dhumal knew, what power had come to the rescue of the concerned persons. At the same time in Shirdi, Kakasaheb Dixit’s 7 years daughter passed away. Everyone was making preparations for her funeral when Baba uttered, “Wait for a while ! I am going to show you a miracle.” Everyone thought, there would be a miracle concerning the dead girl. However, as nothing happened, after sometime they went ahead with the funeral. Just then Dhumal reached there and declared that the innocent persons had been released. First, people found it difficult to believe the good news. But, after sometime they realized that this was the miracle Baba was referring to. Once, he was carrying this photo while passing from Dwarkamai. Baba called him and enquired, “What are you carrying ?” Dhumal replied, “You are here.” Baba asked him to give Him the photo. Baba kept it in His hands for sometime and turned His gaze all over it. Baba returned it to him and said, “Keep it with you !” Dhumal always craved that Baba should give him a photo for performing daily Pooja. His silent desire was thus answered. He never parted company from this photo. From time to time Baba gave a total sum of Rs. 67 to Dhumal. Then in 1918, He suddenly took back the money and demanded Rs. 7 more. Dhumal said, “I don’t have any more money.” Baba replied, “Borrow from someone else !” This was Baba’s way of teaching Dhumal not to have false pride about money. Dhumal always remembered this lesson. After Baba’s Mahanirvan, he even followed Baba’s practice of collecting Bhiksha from selected houses. In 1918, just prior to Baba’s Maha-nirvan, Dhumal’s sister-in-law became seriously ill at Pune. Dhumal took about Rs. 80 and set on his journey from Nasik to Pune. En-route he halted at Shirdi to avail Baba’s blessings and Udi. However, Baba took away the Rs. 80 that he had and also denied him permission to go to Pune. In the meantime, Dhumal received a telegram informing him that the lady had passed away. After a few days, Baba set on His last journey. Dhumal realized the reason for Baba keeping him back at Shirdi. Baba knew that the lady’s death was inevitable. Further, if he had gone to Pune, he would have missed the few last memorable days in company of Baba. After Baba’s Mahanirvan, the district court appointed 5 trustees to administer the Sansthan property. After one of the trustees expired, Dhumal was appointed in his place. In his capacity as a trustee, he used his legal knowledge and experience to set the rules and bye-laws for the Shirdi Sansthan. On Saturday 29th June 1940, Bhausaheb breathed his last at his own home. He always wished that at the time of his death, he should be in Shirdi. But, Baba desired otherwise.